Kimono and yukata are traditional Japanese garments that have charmed people around the world with their beauty, style, and traditional aesthetic. They are full-length T-shaped robes that have long sleeves and are secured in place with a decorative belt. 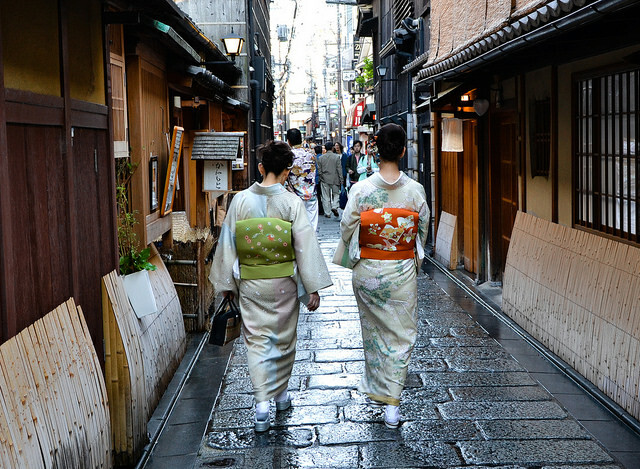 There are many specific rules for when and how to wear kimono and yukata, known as kitsuke. The rules for kimono are much stricter as they are considered formalwear, while rules for wearing yukata are more relaxed. A kimono is a traditional style of dress that became part of the normal Japanese wardrobe back in the Muromachi period (1392-1568). Over time, styles shifted to denote the wearer’s social rank and occupation. The rules for kimono settled into place during the Edo period (1603-1868), and since the eighteenth century, there have been very few major changes. The style of kimono worn depends on both the occasion and the status of the wearer. Komon is a casual type of kimono that can be worn throughout the year by both married and unmarried women, while young unmarried women can also wear furisode, a type of kimono with long sleeves to indicate that a woman is eligible for marriage. In addition, there are many other types of ceremonial kimono worn for special occasions. A kimono consists of twelve or more parts, which can make wearing them very complicated. The first layer is the underclothing. This consists of an inner kimono called the nagajuban. Under this, you may also wear a hadajuban, which is like an undershirt that prevents the nagajuban from becoming soiled. 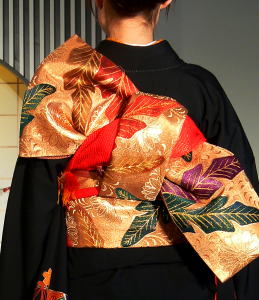 The kimono layers are tied down with a thin sash called a koshi himo. Over the underclothing you wear the outer kimono layer. Remember to put this on with the left panel over the right. 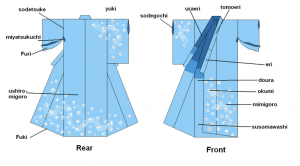 The upper center line on the back of the kimono should be in line with your spine. The full length of the kimono should be within 5 cm(2 inches) of your full height. Lift the kimono so the hem is at your ankles, tie it in place with a koshi himo, and then fold down the remaining fabric. 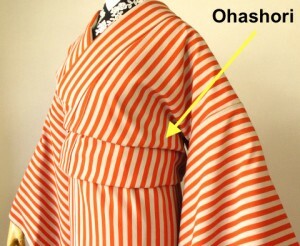 This creates a special fold in the fabric called an ohashori. For women, it’s important to buy a kimono that’s long enough to fold down, as it’s considered bad kitsuke to wear a kimono without this fold. Next, a colorful belt called an obi goes over the outer kimono layer. There are many different lengths, fabrics, and styles of obi. Hanhaba obi is the informal obi for everyday kimono wear, while a fukuro obi is the ceremonial one worn for formal occasions. 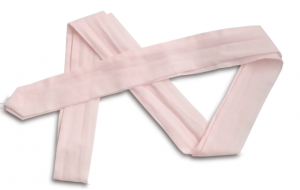 There are also obi accessories like the obiage, a length of silk tied around the torso and underneath the obi that helps to give the body a tube-like shape, and the obijime, which is a decorative cord tied around the obi that helps to keep its knot in place. Zori are the traditional kimono footwear. They’re sandal-like shoes made of fabric, brocade, or vinyl and must be worn with tabi socks, the white traditional socks used with Japanese footwear. 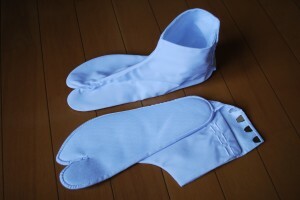 Nowadays, you can also get other non-traditional colors of tabi socks such as the light blue one you see below. Men’s kimonos tend to be much simpler and come in muted colors like black, gray, brown, and dark blue. For formal occasions, men wear a montsuki, which is a formal black silk kimono worn over a white under-kimono and hakama, traditional Japanese trousers. Men also wear zori, usually made of imitation plastic straw, but they are not required to wear tabi socks with their zori like women. A yukata is a casual kimono-like garment worn during the summer. It’s unlined and usually made of cotton to make the fabric more breathable. As such, yukata are popular for dressing up for summer events like firework festivals. Yukata wearing dates back over 1,000 years to when they were worn by the nobility to and from their baths in the days before bath towels were used in Japan. Because yukata are much cheaper than silk kimono, they became very popular during the Edo period when there were strict laws that prevented people from living extravagantly. Yukata have much fewer components than kimono do. Because they’re made of cotton, it’s not necessary to wear a nagajuban underneath. However, as with kimono, women will need to adjust the length of the yukata by making an ohashori fold. The obi worn with yukata is narrower and more informal, and some yukata makers even stitch the obi into a pre-tied bow so it’s easier to put on. 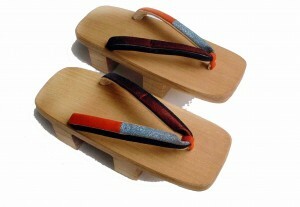 For footwear, you should wear your yukata with geta, which are informal all-season sandals made of wood. Geta are much more casual than the zori worn for kimono and are like the traditional Japanese equivalent of wearing sneakers. For fashion, many people add a brooch-like accessory to the front of their obi called an obidome, or they may wear a hair ornament called a kanzashi. Some people even wear a sheer obi called a heko obi on top of the traditional one for a more modern look. Yukata wearing is even simpler for men, who aren’t required to make an ohashori fold. Instead, men’s obi are tied lower on the waist, and men are encouraged to create a sort of “pot belly” shape by wearing a special yukata pad for a rounder belly shape. 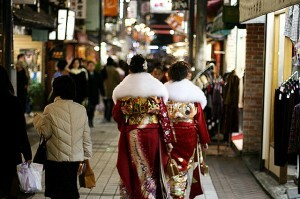 Kimono are the older, more traditional, and more expensive garment. They’re usually made of silk or brocade, have an inner layer and an outer layer, and are worn with at least two collars. Both men and women wear kimono. They can be worn year-round and have different seasonal styles – unlined in summer, lined in autumn and spring, and padded in winter. 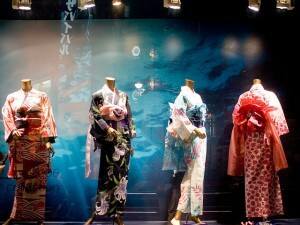 There are also different types of kimono depending on the occasion as well as the wearer’s social status. Yukata are the more casual and inexpensive garment. They’re typically made of cotton and are meant for wearing in the summer. 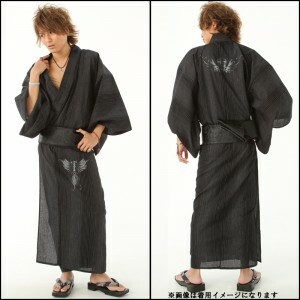 Yukata are mostly worn by women; however, it’s becoming more popular for young men to also wear them during the summer. Because yukata are less formal, people often experiment with colors, patterns, and accessories. Despite their differences, both kimono and yukata have one important rule, which is that you must wear them with the left panel over the right. Wearing them the wrong way is considered extremely rude as right-over-left is how the dead are dressed in Japanese culture. To avoid this faux-pas, remember that you should be able to slip your right hand underneath the top panel of your garment, as though you were tucking something inside. Most Japanese people who are buying new kimono order them from specialized stores or in a department store. Traditional kimono are not purchased ready-made but are sold as a single length of cloth around 16 feet long, from which the kimono is made. However, unless they’ve got a thousand-dollar budget, most Japanese people these days rent a kimono for formal occasions or buy one secondhand. 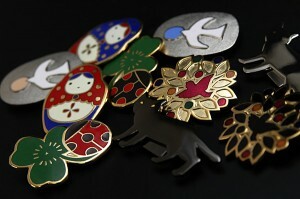 These can be found at a used clothing store called a furugiya or at a “recycle shop”, which is a Japanese store dedicated to secondhand goods. Online you can also find secondhand kimono on auctions sites like Yahoo! Auctions. However, before buying a kimono, it’s important to consider that they need to be cleaned and stored carefully. 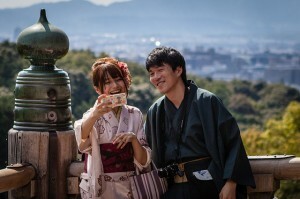 A yukata may be a better choice as they are less expensive and much easier to care for. Many shops on Rakuten Japan sell pre-made yukata sets, which include the yukata itself and an obi, geta, and other accessories. Japanese fast-fashion retailer Uniqlo also sells a reasonably priced yukata set during the summer. If you don’t live in Japan and would like to buy a Kimono Set or Yukata Set from Japan, use our shopping service and we’ll help you order one! If you’re having trouble finding what you want, send us an inquiry with what you would like to look for.